Late last month, The Reverend Shawn Amos gave audiences their second taste of his next new album The Reverend Shawn Amos Breaks It Down with the debut of the album’s second single, ‘2017.’ Now the single has a visual companion to go along with it. Amos debuted the single’s lyric video, which can be seen here, this week. It mixes the song’s lyrics with timely images centered on all of the matters that divide Americans so distinctly today. Those items include politics, violence in the news and other matters such as immigration, the recent rash of sexual misconduct reports nationwide among celebs and politicians and the rift caused by the discussions on global warming. 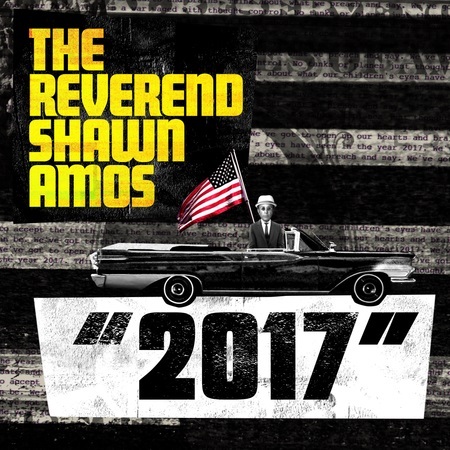 ‘2017’ is just the latest single to be released from The Reverend Shawn Amos Breaks It Down. ‘Ain’t Gonna Name Names’ was released this past spring. The Reverend Shawn Amos is giving audiences another taste of his next new album. Amos debuted this week the song ‘2017,’ which is included in his forthcoming full-length studio recording The Reverend Shawn Amos Breaks It Down. The album is currently scheduled to be released Feb. `16, 2018. Amos said of the song, which was recorded with the surviving members of Al Green’s famed 1970 rhythm section at Memphis’ Royal Studios, in a recent interview that the song is focuses on getting people to stop and think. Rising jazz star Ala.Ni has released another new music video. The British-born, French-based artist has unveiled the video for the Amazon Original song ‘Not Coming Home.’ The video follows Ala.Ni as she enjoys a night out on the streets of Paris with a female companion with a somewhat surprising progression. It should be noted here that anyone with a low tolerance level for people’s personal lifestyles are not encouraged to watch because of that surprising progression. The video is streaming online now here. The ‘Not Coming Home’ video is just the latest of Ala.ni’s videos. Also streaming now are the videos for ‘Cherry Blossom,’ ‘Come To Me,’ ‘Roses and Wine,’ ‘Circle,’ ‘Suddenly,’ ‘Darkness at Noon’ and ‘One Heart.’ She recently performed ‘Cherry Blossom’ live on BBC Two’s Later…With Jools Holland. National Public Radio also recently featured Ala.Ni on its Tiny Desk concert series. Her performance there is streaming online now here. 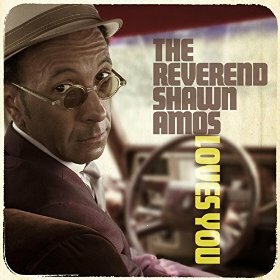 The Reverend Shawn Amos’ latest album The Reverend Shawn Amos Loves You is one of the best of this year’s new blues offerings and potentially one of the year’s best new albums overall. Regardless of listeners’ familiarity with Amos and his music, it can be said in listening to his new album that it is just as impressive of an introduction for new fans as it is a return for those that are more familiar with his work. That is made clear first and foremost through the album’s musical content. From beginning to end, Amos refuses to stick to just one style of blues, opting instead to present different styles of blues. The Delta blues influence is just as obvious in this record as is the Chicago blues sound. It could even be argued that there’s a hint of the Texas blues style included in this record, too. It’s just one part of what makes this record such an enjoyable collection of songs. The album’s lyrical content makes it just as enjoyable. It mixes Amos’ religious background with his more secular roots and never lets either one overpower the other at any given point. Connecting both the album’s musical and lyrical content is the overall sequencing of the album’s songs. The songs have been sequenced in such fashion that the energy never gets too intense or too laid back for listeners. It is so well-balanced that the album in whole will keep listeners engaged from beginning to end. In doing so, The Reverend Shawn Amos will have listeners loving it, too. The Reverend Shawn Amos’ new full-length studio recording The Reverend Shawn Amos Loves You–his second blues offering and fifth overall album–is a fittingly titled new release. That is because over the course of its twelve songs, ten of which are originals and two covers, it will leave listeners loving it just as much as it shows love for them. That is made obvious first and foremost through the record’s musical content. Over the course of the record’s thirty-nine minute run time, Amos refuses to stick to just one style of the blues. Instead he presents influences from the blues’ different roots. The album’s opener ‘Days of Depression’ hints at a Delta blues influence while ‘Brand New Man’ could be argued to boast something of a Texas blues influence with its guitar-based, up-tempo and boisterous sound. And ‘Brother’s Keeper’ has something of a Chicago blues style sound about it. These are just a few examples of how the different sounds exhibited across the record’s body make the album in whole such an enjoyable collection of songs. They are just part of the different sounds presented throughout the record that make it such an interesting listen. Regardless of which song one chooses, it can be said that all twelve songs make the album a wonderful tool in teaching about the blues thanks to that display of talent and obvious knowledge of the blues. It’s just one way in which this album shows itself to be such a worthwhile listen. The album’s lyrical content is just as important to its overall presentation as its musical content. The mix of musical influences displayed throughout the course of The Reverend Shawn Amos’ new album is in itself plenty of reason for listeners to hear it. It is just one reason that audiences will appreciate this new collection of songs. The album’s overall lyrical content is just as important to note here as its musical content. That is because just as Amos doesn’t stick to just one style of the blues across his new record neither does he stick to just one lyrical topic throughout the record. Rather he displays both his religious and secular background from beginning to end beginning with the album’s opener. What’s really interesting here is that in the dual message that seems to be presented. At first Amos sings about being so depressed that he could let go of the wheel and go “where the wind goes/with the lord.” He doesn’t stop here. Instead he turns around and makes a statement about time with his brother (actual blood brother or figuratively speaking is beside the point). It gives that line about going with the lord a wholly different message. That is especially considering the changed tone of the song’s musical content. That religious background is just as obvious later in the album’s run in the form of ‘Brother’s Keeper’ in which Amos sings about trying to live according to the word of God. He sings, “Gonna lead with my heart/Open my hand for a start/And be my brother’s keeper.” He goes on to ask “what we gonna do?” before going on to state yet again his reliance on the word of God in order to decide what to do. What’s truly impressive here is that Amos doesn’t get all preachy about the topic. Rather he uses the blues to get his message across both musically and lyrically. In other words, it’s a gospel song that hardly comes across as being gospel; an unorthodox approach, yes. But effective nonetheless. The same can be said of ‘The Outlaw.’ It sounds, to a point, to be more secular than religious. But the song’s story about a rather bad man presents a direct religious story of sorts. It’s just one more way in which Amos’ religious background is put on display in his new album. Of course his religious roots are not the album’s only lyrical influences. His secular roots are just as much on display. While Amos’ religious background is on clear display, lyrically, throughout Amos’ new album, his more secular roots are just as evident if not more so. Those roots are evident in the form of ‘You’re Gonna Miss Me (When I Get Home),’ ‘Bright Lights, Big City,’ ‘Hollywood Blues,’ and ‘The Last Day I’m Loving You.’ These are pure blues tunes that will impress any blues aficionado just as much as any of Amos’ more non-secular fans. The combination of both lyrical sides together with the album’s musical content strengthens Amos’ new record even more, proving even more why this collection is arguably one of the year’s best new blues albums and potentially one of the year’s best new albums overall. The musical and lyrical content that makes up the body of The Reverend Shawn Amos’ new album makes this record a solid choice for any critic’s list of the year’s best new blues albums. In the same vein, the balance of secular and non-secular lyrics coupled and various blues stylings makes the album just as much of a candidate for any critic’s list of the year’s best new albums overall. While both noted factors are equally important to the overall success of Amos’ new album, there is still one more element that is just as important. That element is the album’s sequencing. From start to finish, it is obvious that plenty of thought was put into the album’s sequencing. 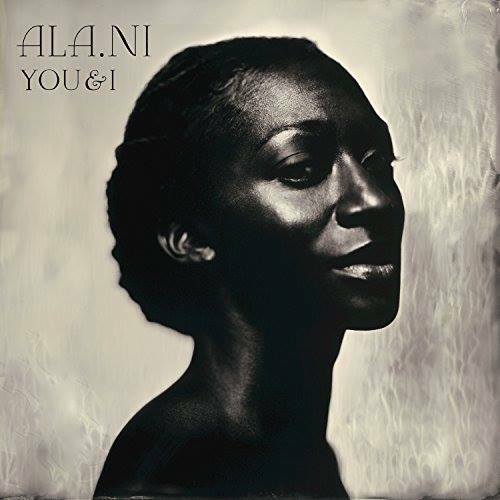 It starts slow with ‘Days of Depression’ before picking up quite a bit in ‘Brand New Man.’ The energy exuded by that song is carried through the first half of the record before Amos pulls back in ‘Will You Be Mine.’ That slower, more laid back vibe established in ‘Will You Be Mine’ carries on through to the album’s end in different degrees. Regardless of the degree to which the music pulls back, it is such that there is a clear separation between the album’s first half and its second. It shows just as much variety as the songs themselves both musically and lyrically. Speaking of that variety, the combined variety in the album’s lyrical and musical content, and between the album’s two halves makes The Reverend Shawn Amos Loves You an album that any listener will love.